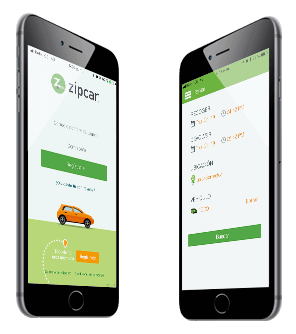 Welcome to Zipcar, an innovative corporate system, designed to solve your need of transportation automatically and self-sufficient, book a car for the hours you need including coverages and fuel. You only need to complete the following 4 steps and soon you will be traveling calmly with Budget Sharing. For rent only for the time you need. Eco-friendly vehicle: share car reduces emissions. Easily accessible so you take your time: the car is in the parking lot of your office of work center and can book from your computer or cell phone 24/7. No worries, everything is included. Register online by filling out the form located in Budget Zipcar. We will confirm your data and email. You will also receive a welcome email which indicates the link where reservations are made. Go to the link that indicates your e-mail of welcome and make the reservation from your computer or cell phone. 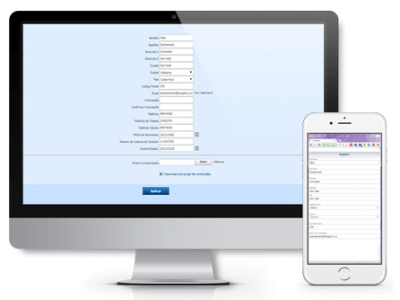 Remember you can book by the hours you need from the comfort of your office, home or wherever you are. Before leaving we recommend to check the interior and exterior of the vehicle. If you find any damage, dirt, or vehicle without fuel please report it on the web site before the rental contract. When you finish using the vehicle check not to leave trash or personal belongings. It is not allowed to smoke inside the vehicle. It is important to leave the vehicle in the same place where it was withdrawn, if for any reason you cannot deliver it on time, an extension of the reservation should be made. It is not allowed to get into the vehicle with animals. Applied in companies located in the following zones: Zona Franca Metropolitana, Trilogía, and Avenida Escazú. Requires prior signature of corporate contract. Available rental vehicles Toyota Yaris, Bego, Rav4, and Corolla. Immediately call the 800-Qualitas insurance. Reporting at Budget (800-24 hours) and take pictures on the situation. Call traffic police at 911 to raise part of the transit.